Use extended memory to emulate expanded memory. using a hard disk or a RAM disk to simulate an expanded memory board. convenient way to turn extended memory into expanded memory. that is not in use is stored as deactivated pages on an expanded memory board. of VRAM that allows the creation of up to 8 megabytes of expanded memory. We encourage contributions by providing quality support now and in the future. you'd like to discuss ways of improving its performance. and the program you are running with it. reads and writes. Hard disks are faster. can use extended memory, such as DOS VDISK (good name) or AST SuperDrive. VRAM is compatible with all of them. you exit your program and VRAM. contains your 1-2-3 program files. Step 1. Put the distribution disk in drive A. Step 3. Type "copy a:vram.exe c:" and press ENTER. Step 4. Repeat this procedure for each program you'll be using with VRAM. entered in any order. If a parameter is omitted, a default value is used. parameter is omitted, a default value of 8 (128K) is used. letter. Omit this parameter if you want to use the current drive. 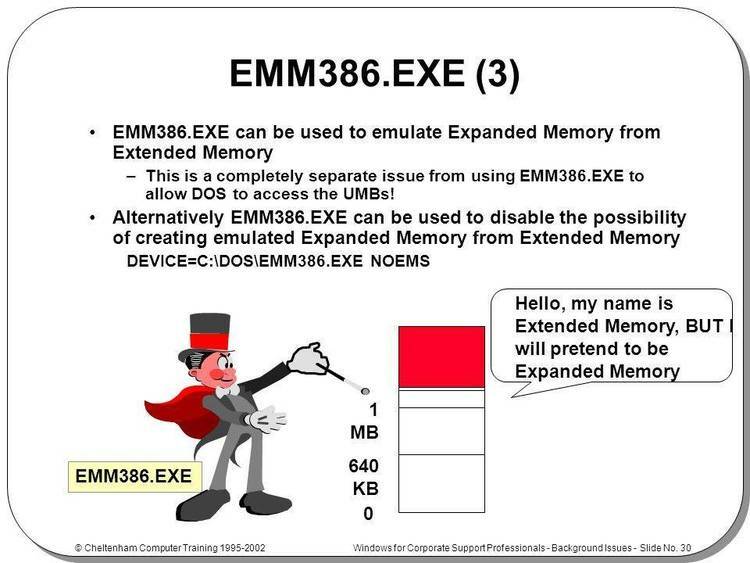 extended memory as expanded memory. operating system, to the root directory of your hard disk. Step 3. Press Ctrl-Alt-Del to reboot your computer. current directory. For example, "cd\123". (note: This example assumes that your RAM disk is designated as drive D.
board, most operations are accomplished in a reasonable amount of time. is also important to Move large ranges a few rows at a time. time when copying or moving large ranges. copying a cell or range to itself. of memory paging and may take a very long time. When asked if you want to convert lost data to files, respond with N.